A very special and unusual trip. 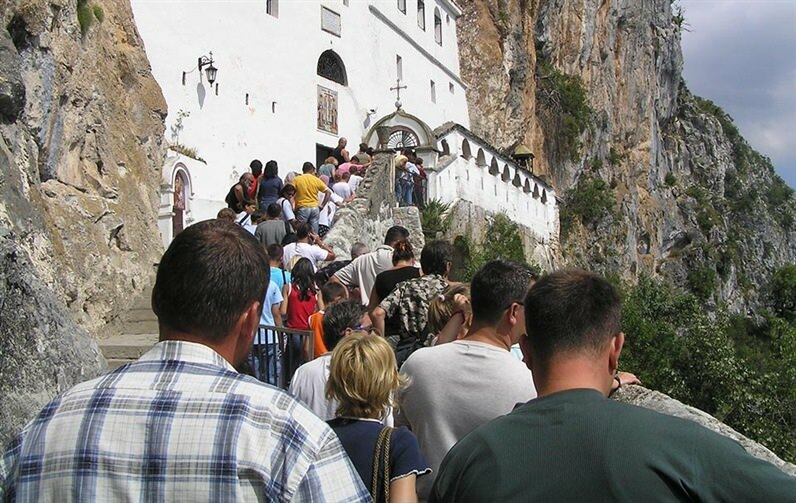 Ostrog Monastery is among the world’s greatest shrines, and one of the most visited places. During this visit you will feel differently and hope will enjoy. 08:00h- Breakfast on the terrace near the beautiful Tara. 09:00h– Departing in front of the hotel. 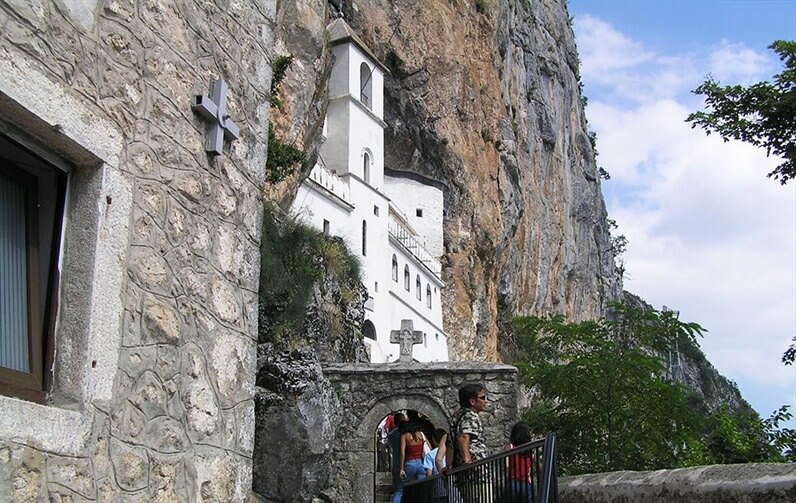 During the ride you will become familiar with the guide and talk about the magic of Ostrog. 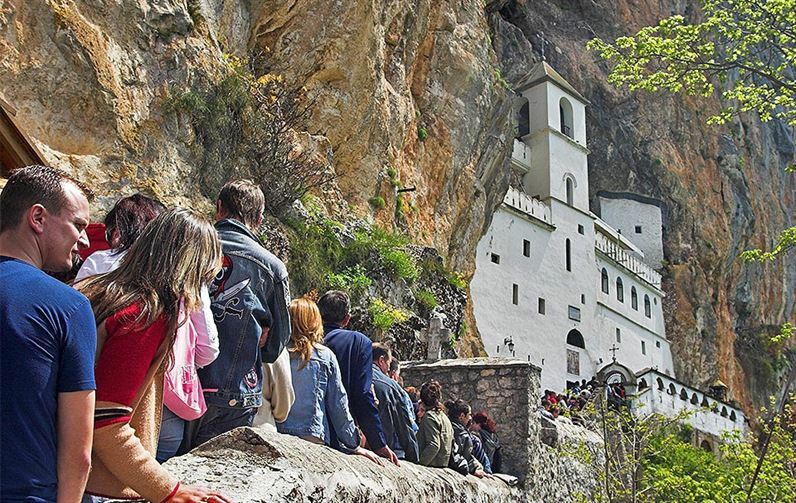 11:30h– We are close to the Monastery. 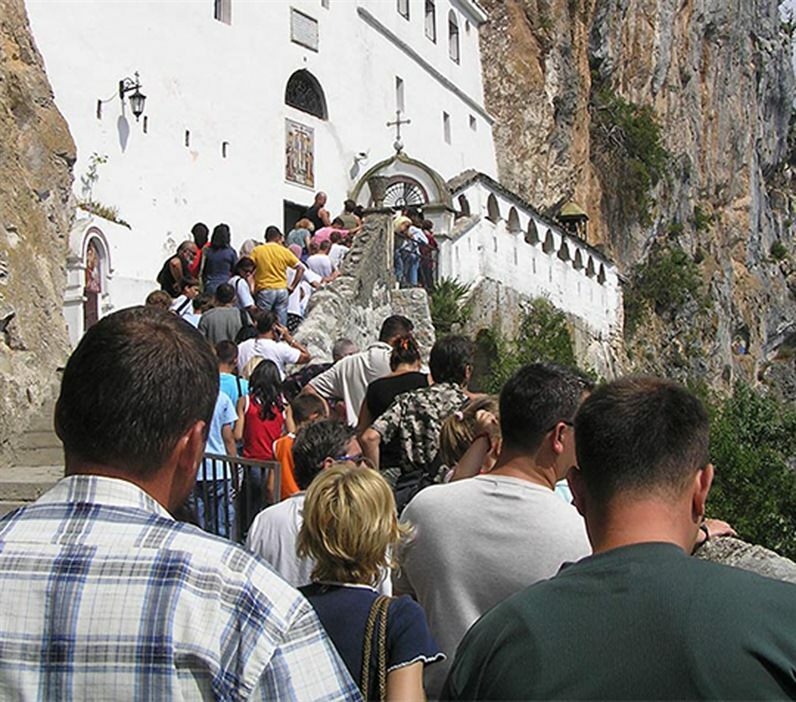 OSTROG MONASTERY is one of the most famous Orthodox sanctuaries. 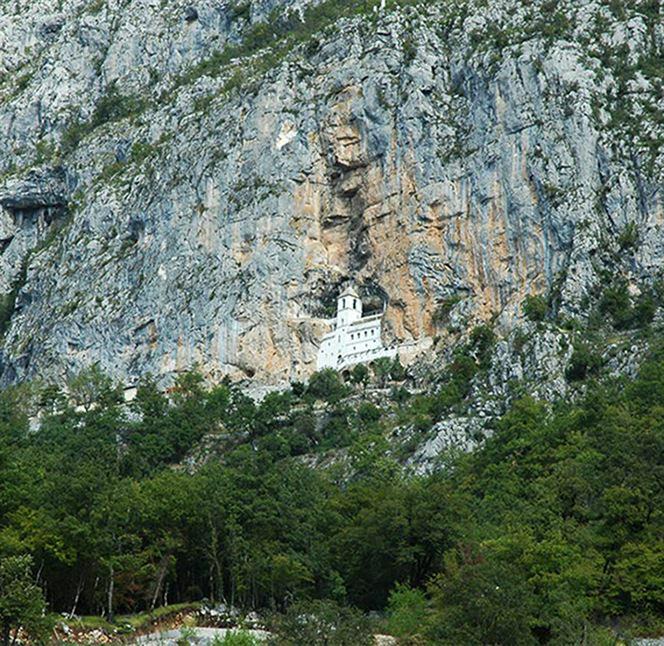 It is located in the area of ​​Bjelopavlić, belongs to the municipality of Danilovgrad. 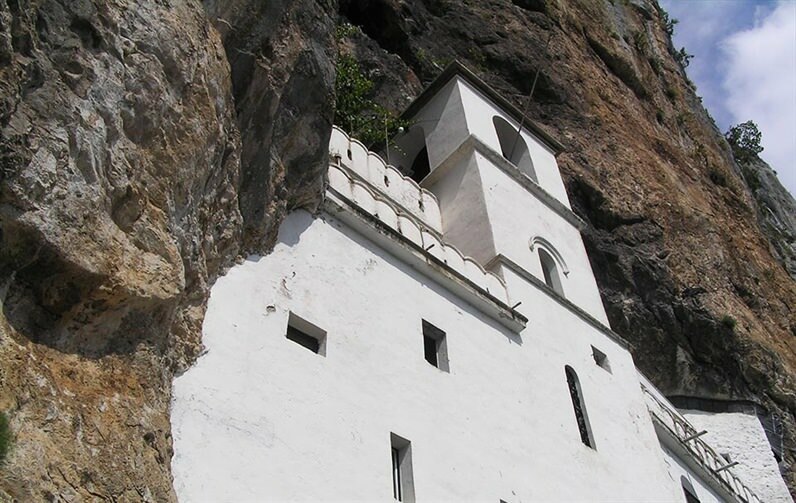 It is located in a vertical rock, with a beautiful view. 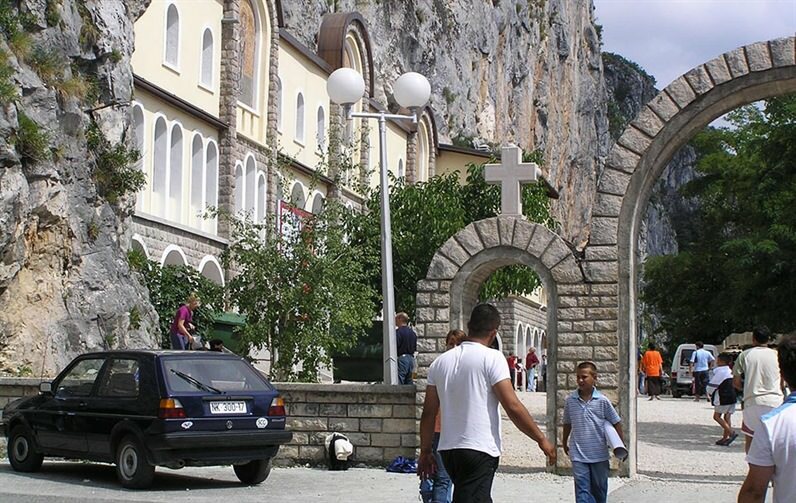 It was founded in the 17th by Metropolitan Vasilije. 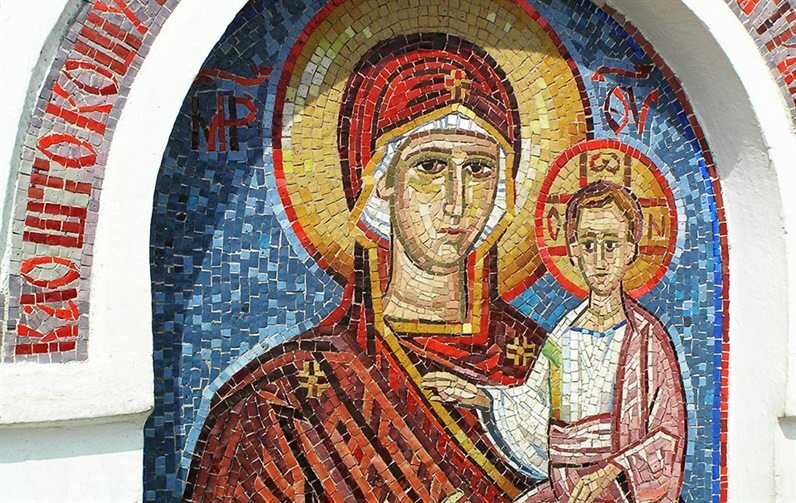 Later, when he was canonized, he became the SAINT WONDERMAN. 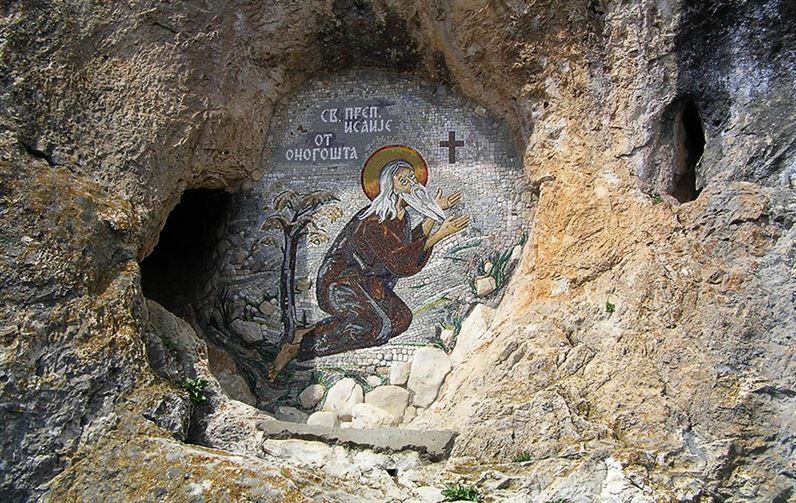 His body lies in the cave church. 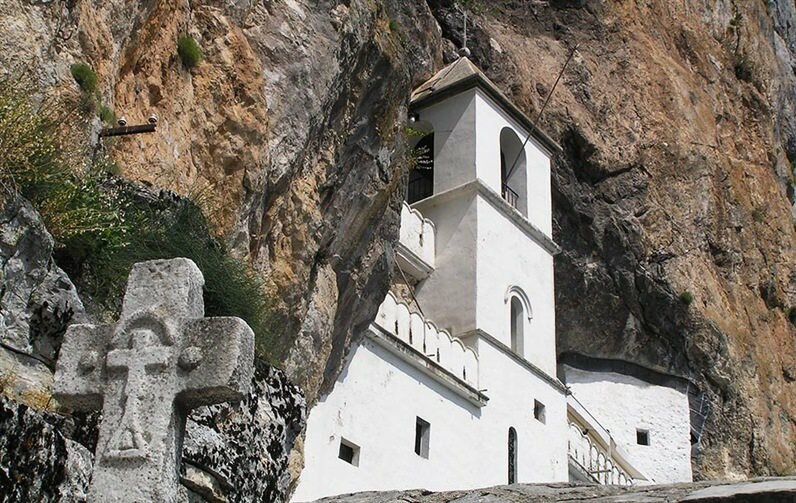 The cave church represents the main monumental value. 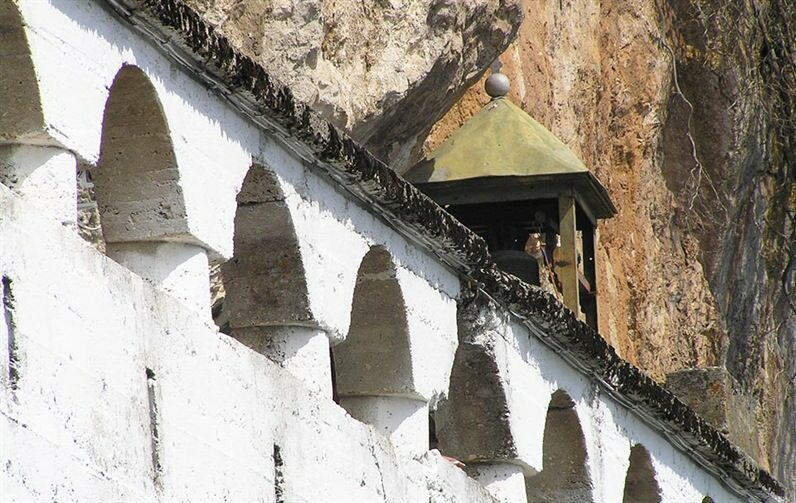 It also consists of the Upper and Lower Monasteries. 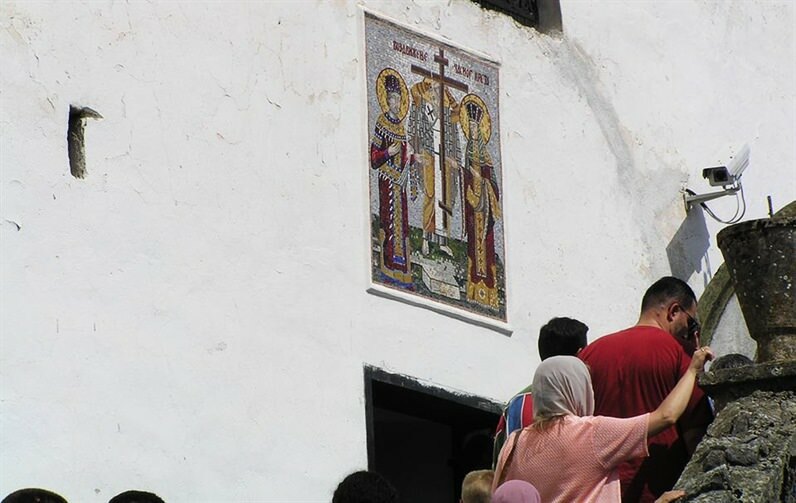 It is visited by people of different religions around the world. 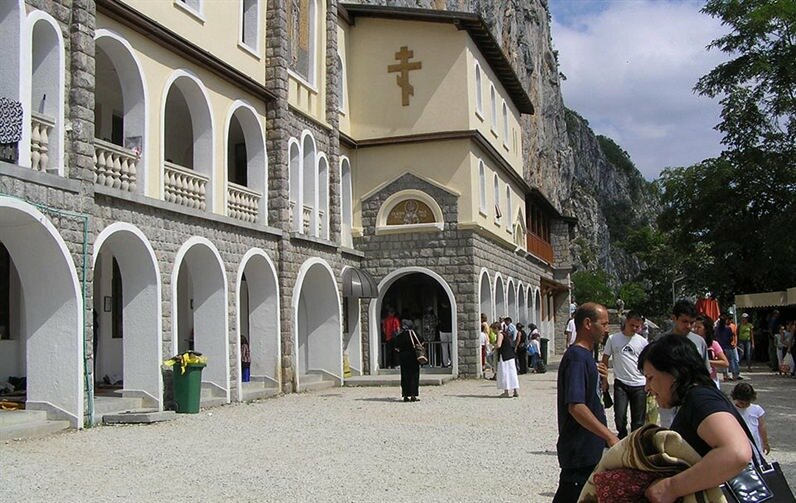 In this monastery, with the help of St. Vasilija Wonderman, there have been various miracles. These wonders are of course true and you will know them during your trip. 14:00h- Sorry, we have to go to the hotel. 16:00h– Hosts are waiting for us with a delicious lunch. This is followed by a break in order to be ready for new trips and adventures. The price of the excursion is included lunch, upon return to the hotel.